If you find yourself with knee pain, joint replacement is probably far down on the list of your most desired solutions. However, the newest knee replacement surgery procedures are less painful, offer better mobility solutions with a faster recovery time than ever before.Your outcomes are not only up to your surgeon and medical team. There are key actions you can take before, during and after the knee replacement surgery to help optimize results. We help as we strive to create a tailored knee replacement procedure and customized recovery for you. Have a positive attitude. If you need a total knee replacement you can negatively focus on the procedure itself or the positive outcome—you as a fitter, more mobile and stronger person. Think about the reduction in pain you will experience and look forward to restored abilities. With this in mind, knee replacement surgery can be a positive experience. Establish a schedule with a physical therapist (PT), a trainer, a massage therapist and a nutritionist before surgery. If you have had significant knee pain, you have most likely compensated with an adapted gait and limited range of motion that has created other abnormalities in your hips and back. This total approach to recovery typically increases your return to mobility. We recommend meeting with these specialists before knee replacement to begin strengthening areas of the body that might have become deficient during your period of limited or adapted mobility. Consult with a nutritionist to balance your diet. An experienced nutritionist can optimize the amount of vitamins and proteins to help your body best respond to the stress of surgery. Patients that eat low protein diets often have low levels of protein in their blood. Research shows these low levels correlate with increased infection rates after surgery. Working on your weight management before and after surgery helps you achieve better mobility potential, increases strength, and better preserves your new knee joint. The night before your procedure, do something relaxing. Go see a movie, enjoy spectating at a sporting event, attend the theater or watch a comedy. This can serve to calm you, which is shown to help recovery times. The day of surgery, relax. You can have the confidence you are in excellent hands with our team. Keep focusing on how much better life will be when you are more mobile. Think of knee replacement as a deep nap with the bonus of a new knee. Understand that if your case is conducive, we will use a minimally invasive procedure to optimize your recovery time. Be intentional about your time and effort spent on physical therapy starting the day after surgery. 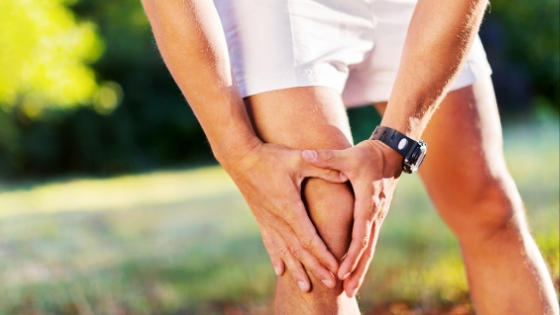 Experienced physical therapists will help work on strengthening the knee and your entire body. Take enough time off work to get into the physical therapy facility as often as possible in the first six weeks. Shift your mindset from a patient in rehab to one of an athlete in training. Once we release you to an additional stage of therapy, consider having a session with an experienced fitness trainer at a gym or have one come to your home. It’s often less expensive and feels less like medical treatment. Focus on building muscle strength in your upper body, trunk and core as well as the lower extremities. An experienced trainer will incorporate exercises like stationary cycling and pool exercises. Schedule your massages. A knowledgeable massage therapist compliments the your physical therapy, keeping tissues flexible and nimble. We advise patients not to sacrifice long-term mobility because of costs, but realize that budgetary matters are concerning. Most insurance covers physical therapy for the initial sessions. Group sessions at your local fitness center are usually affordable. Self-massage can supplement paid therapy and massage. Nutrition shouldn’t cost more as you are shifting to a diet increasing lean proteins (chicken breast, etc.) and water intake, while decreasing processed foods and carbohydrates. With diligence and planning, the benefits you gain from knee replacement recovery should outweigh costs. We will work with you to develop a plan to keep costs at a minimum for your recovery. As your orthopedic surgeon, I want to see you have full mobility and the best life possible. If you are experiencing chronic or acute knee pain, limited movement or other knee and joint problems there are medical treatments which can help. Call me, Douglas J. Roger, M.D, at 1-760-416-4511. I practice with the Institute of Clinical Orthopedics And Neuroscience in the Desert Regional Medical Center the office is located at 1180 N Indian Canyon Drive W201, Palm Springs, CA 92262.